When talking about comics with people that aren’t into comics a book that comes up a lot is Sandman. Sandman is, in my experience, the most recommended book to people who don’t like comics, haven’t read a comic, don’t take comic books seriously, or think comics are ____________ (insert sweeping generalization). It’s a great comic, but hey, it’s 2014. There’s a new sheriff in town. There’s a new good fantasy comic you can give to any random person on the street is what I’m trying to say. Loki. Except it’s not really just one series. Nor is it really one continuous vision by a single creative team. It’s a story that has spanned three years, and about three and a half different comic books published by Marvel. In 2011, Marvel did a convoluted crossover thing-y called Siege. Loki died. Thor brought him back. As a kid. A kid that was seemingly innocent. Kid Loki got his own series: Journey Into Mystery. 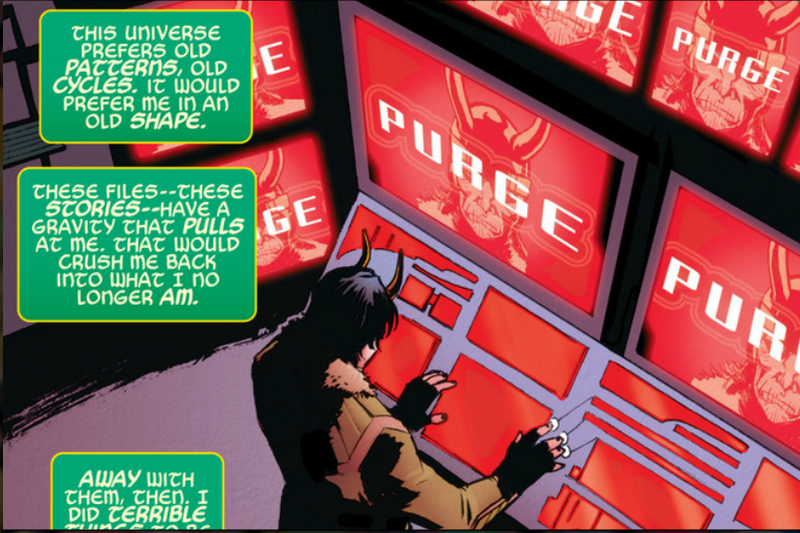 Issue #622 of that series set Loki on a path to figure out why he did some bad things that led to his death and rebirth. I’m simplifying in the interest of not spoiling, but Loki didn’t want to be Loki anymore. He sacrificed who and what Loki was in order to craft a new Loki. BUT, as Journey Into Mystery came to a conclusion, and all of us had fallen in love with Young Loki the hero, we learned that the Loki that was acted in a manner that was as selfish as we’d expect from a trickster god. Loki made a backup. 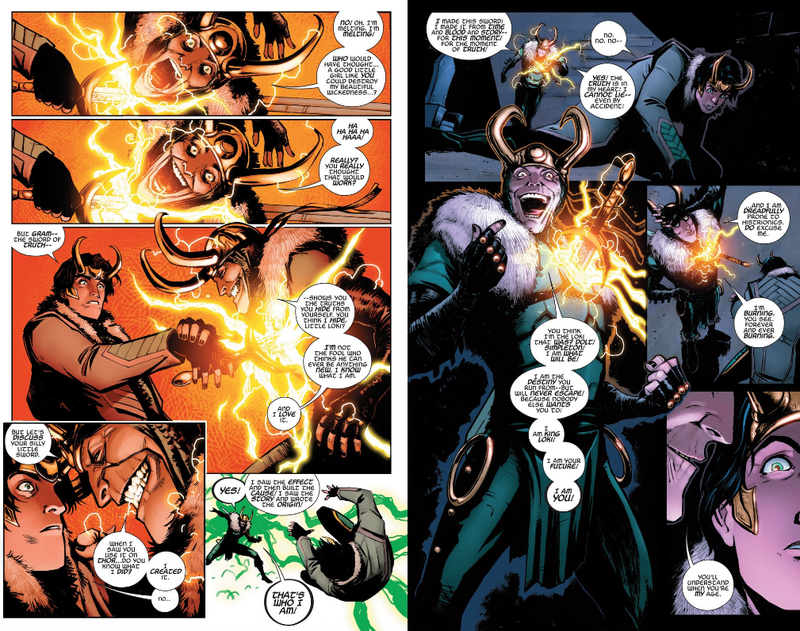 He was working the long con and in ensuring that a version of himself would be resurrected with a clean slate, he also made sure that the backup of Loki-Classic could replace New-Loki once all the pieces were in place. He wanted the illusion of change. The illusion of change. It’s a key factor in comic books, and in ongoing fiction in general. Characters die. They change costumes. They swap minds. But ultimately, they revert back to what we expect them to be. There’s a reset button that’s ready to be pushed when sales dip. Loki can’t avoid being Loki. Marvel won’t let him. More importantly we won’t let him. We’re not comfortable with actual change, in fiction or in real life. It’s easy for us to become a part of a narrative. either one that we tell ourselves, or that we let others tell about us. And it’s easy to get trapped there. 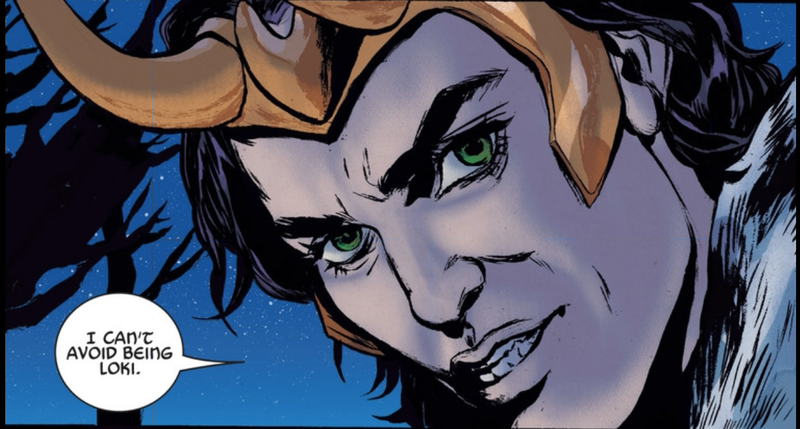 Young Avengers by Kieron Gillen and Jamie McKelvie saw Backup-Loki-In-Kid-Loki’s body formulate the identity of New-New-Loki. 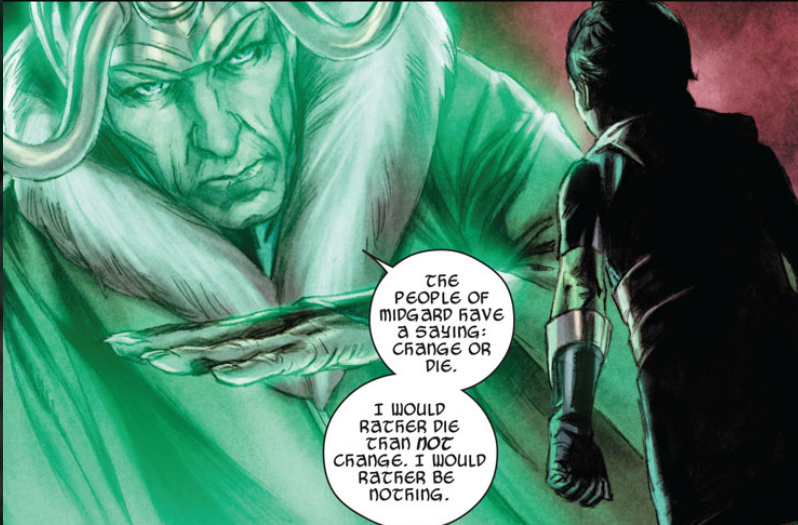 Kid-Loki’s desire to do good was burdened by New-New-Loki’s struggle with his own nature and the guilt over the reasons for his own existence. 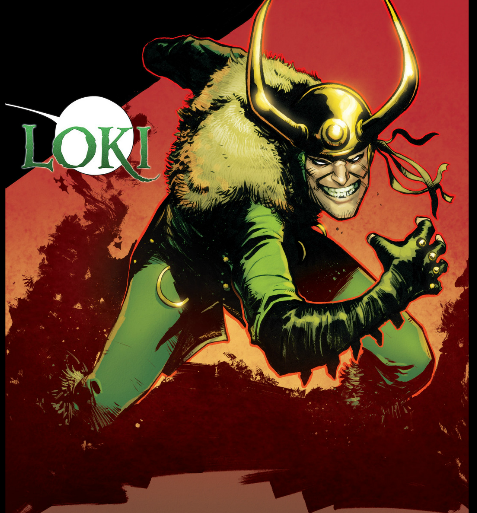 Loki’s tale is now being told by Al Ewing and Lee Garbett in Loki: Agent of Asgard. Loki performs missions in exchange for erasure of his past deeds. But turns out to be New-New-Loki of a distant future. A Loki that seemingly proves that all of Loki’s work is for nothing. Loki will always be Loki. So many mainstream comics are marketed with the tagline “THINGS WILL NEVER BE THE SAME AGAIN.” Few have dared to admit that no matter what you do, no matter how much you love this little cult hit, things will just revert to what they used to be in the end.